When we say Allahu Akbar what is it that we really mean? Can we fully understand this expression? This ayat just draws reference to one of Allah’s Divine Attribute; Al Alim – The All Knowing. And His Essence is manifested through all His Divine Attributes at one at the same time. The other point that exemplifies Allah’s Greatness is that He responds to all His creatures also at one at the same time. For example He sustains some of His creatures and provides protection for others at the very same time. All creatures depend on Him and this is a connotation of As-Samad. 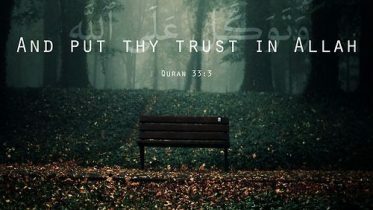 Even those misguided creatures who claim to be a god, they too are dependent on Allah . Allah is in no need of sustenance. He is Al-Malik – The Absolute Possessor. He cannot be compared and if you have your faith and trust in Him, He will take care of you and will never let you down. Yes, we will experience hardships but if you look back at life you’ll see that you experienced many trials before and you came out of them. Our Lord is truly Great, so much so, that it is impossible for us to fully comprehend His Greatness. Realise this and worship and serve Him as He ought to. 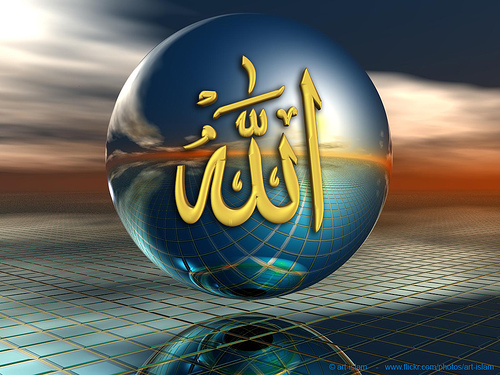 Be the first to comment on "ALLAH IS THE GREATEST"